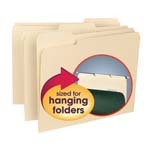 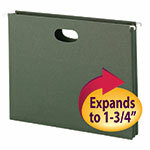 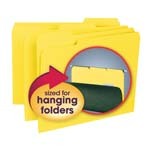 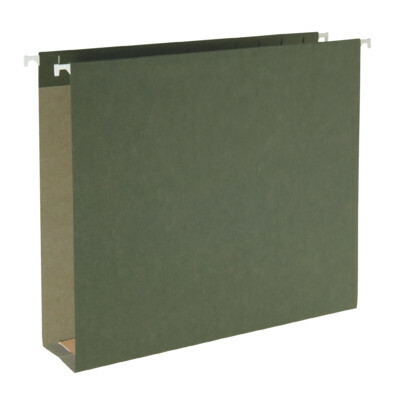 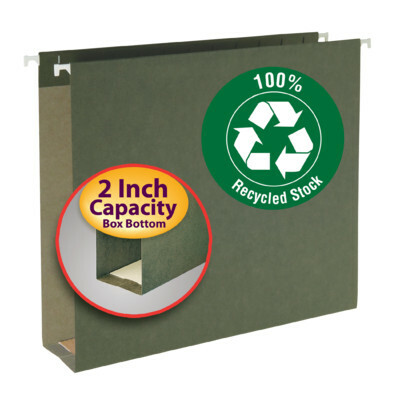 Our popular extra capacity hanging folder is now available in an eco-friendly 100% recycled material. 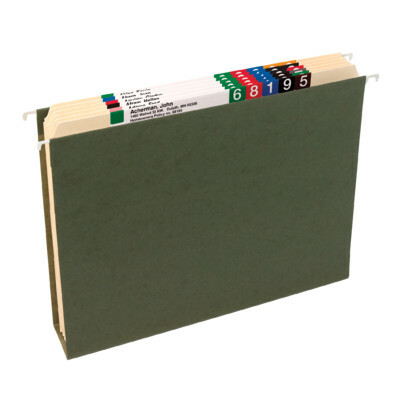 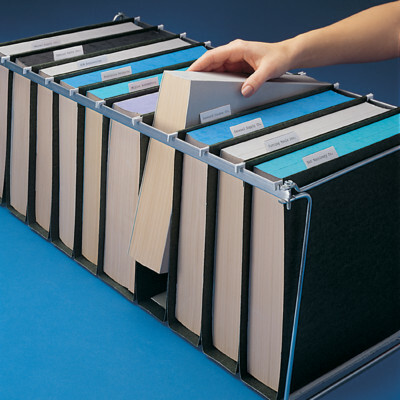 Neatly store bulky files, manuals and booklets. 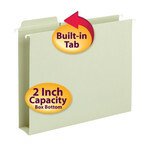 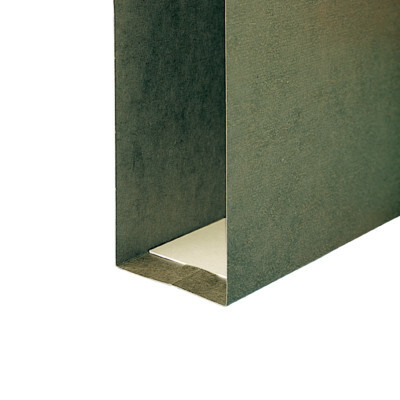 Use the sturdy reinforcement strip to keep contents upright and prevent bulging.